As we get closer and closer to E3, rumors have emerged that Microsoft could be readying to show off a potential Xbox One slim, or possibly the fabled Xbox Next console. This rumor started when Microsoft submitted two filings to the FCC (just so we’re all on the same page, the Federal Communications Commission is an agency of the US government and are responsible for regulating electronic communications, and this includes wireless). The smart chaps over at NeoGaf (the original poster was a user known as ‘ekim’) managed to grab the rumor and have since looked into what this could possibly mean. Currently there are two filings from Microsoft which possibly relate to another Xbox One console, and those are 1682 and 1683. Unfortunately the applicant has opted to reveal very little about the devices in question, in fact the Xbox system is referred only by ‘host’. The current model of Xbox One available on store shelves has the full ID of FCC ID C3K1525, with C3K being a unique Microsoft identifier and 1525 the model number. This is currently available on the FCC website. The strange thing comes from two new filings, with model numbers of 1682 and 1683. To summarize, the 1683 has the same user manual (1525), but isn’t available as it’s under NDA. It’s likely however very similar to the console we currently have. 1682 is weirder still, because its NDA expires July 29 (which is considerably after 1683’s expiration of June 25), and has its own manual – but the weird part is that it’s not 1525. This has led to a lot of speculation that this mysterious 1682 is actually the Xbox Next – or some larger revision of the Xbox One. There’s a few possibilities – the first is a cost reduced Xbox One (the same basic system, but Microsoft have managed to trim the fat, potentially even eliminate the BluRay drive). This would allow Microsoft to sell the system considerably cheaper than currently, which would obviously be rather tempting for users – and with GoW4 and other games out / coming out, it’s a pretty good option. Another is a Slimline model (which may or may not be cost reduced); the Xbox One is pretty bulky, so releasing an Xbox One Slim which is the same size (or smaller) than Sony’s Playstation 4 is quite interesting. Phil Spencer has gone on record and said that while he understands Sony’s temptation to release a Playstation 4.5 (PS4K) machine, he wants Microsoft to focus on the ‘big numbers’. This likely eliminates a potential Xbox One and a half right? Well, it’s possible Phil wasn’t telling the truth (or a half truth) or that Microsoft are testing a new system which offers a massive hardware upgrade? Let’s not forget that Sony have told Netflix and other providers they will ‘provide a 4K streaming capable’ PS4, and that’s possibly what Microsoft are intending. 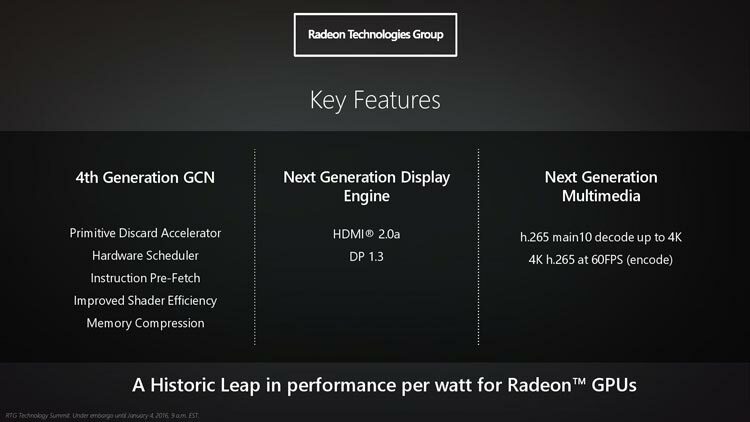 With Polaris, AMD allows HDMI 2.0 and therefore 4K streaming support, and it’s probable that Microsoft could tap into that technology, and simply tweak a few of the Xbox One’s current chips to run 4K blurays and NetFlix. Considering Microsoft are pushing being an “all in one” system even harder than Sony, this is a very good move by the company. It doesn’t necessarily mean there’s a ‘difference’ in performance with this particular machine however, it would simply be able to run 4K streaming content. For more on how Sony are handling their upgraded Playstation 4 (including the fact its GPU is about twice the performance) click here. Shoutout to Ryan on FB for messaging about the news! Tagged with 14nm, leak, polaris, revision, rumor, speculation, XBox one, xbox slim.